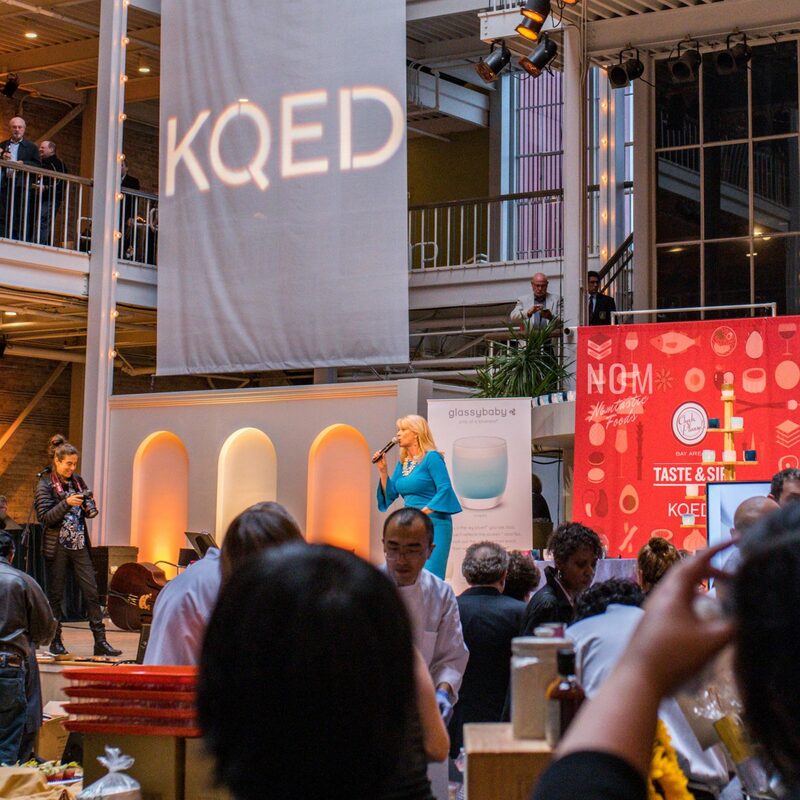 Last week I had the awesome opportunity to attend KQED‘s “Check, Please! 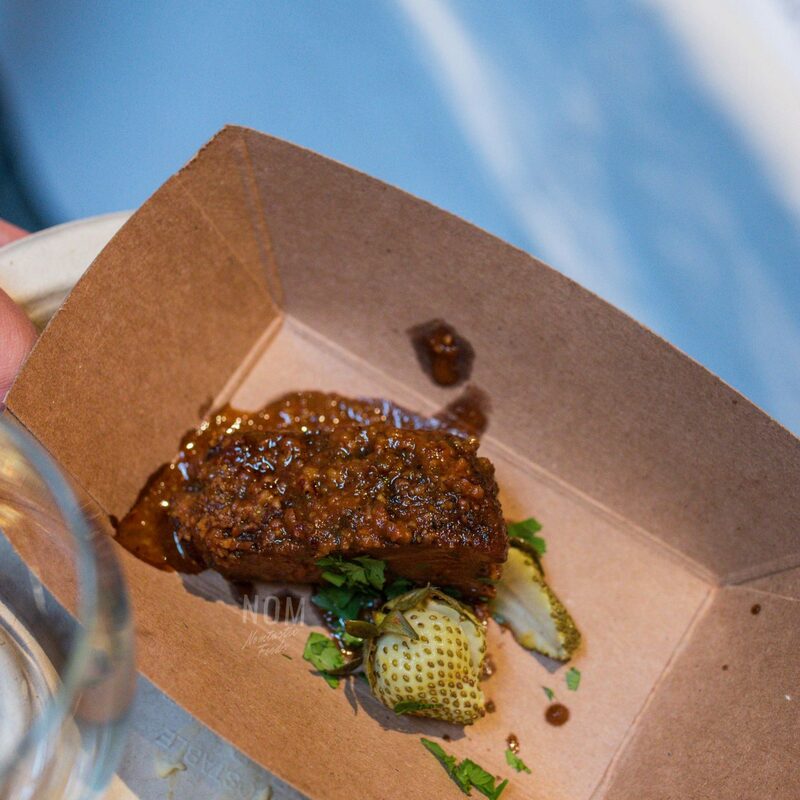 Bay Area Taste & Sip” where there were 50 restaurants that had been featured on the TV show by the same name all handing out small bites and drinks. 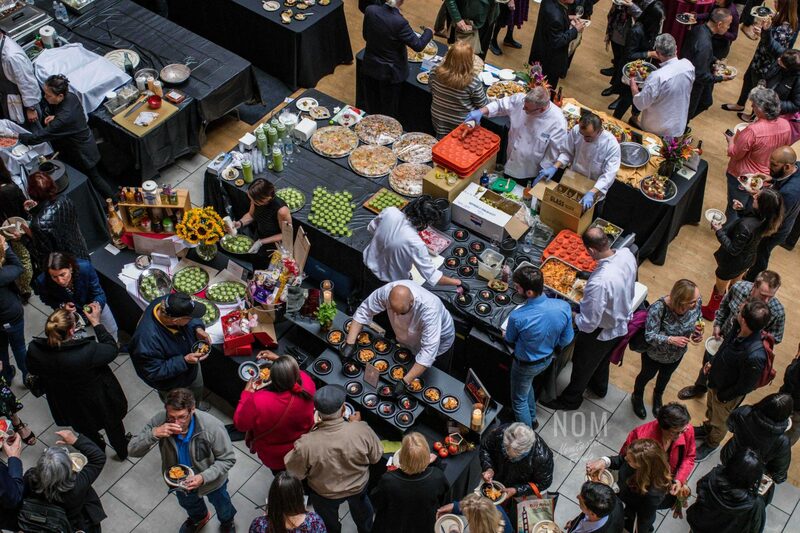 50 restaurants all under one roof! 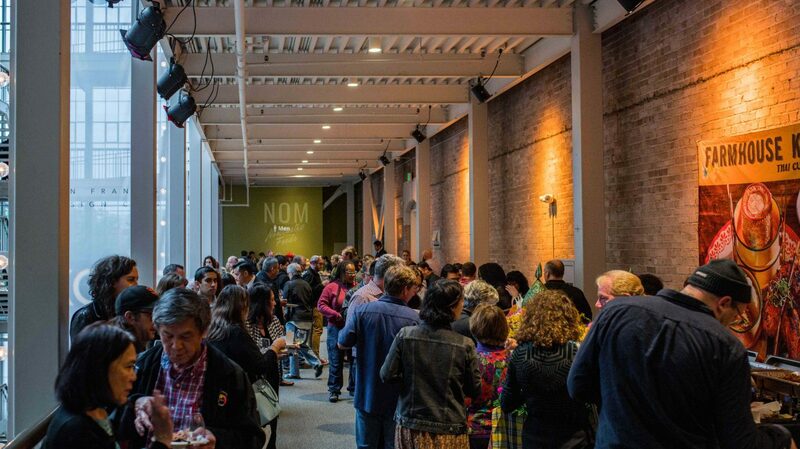 The event took place at the San Francisco Design Center and the food filled up all three floors of the building. There’s no way I could try everything that was there given the sheer amount, but the bites we did try were out-of-this-world good. 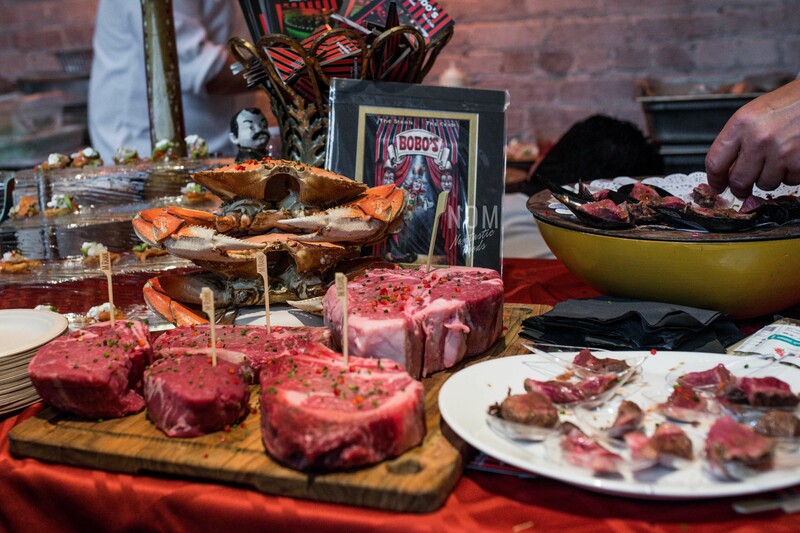 I’ve compiled some highlights from the evening here, so without further ado, let’s dig in! I ended up running into some foodie buddies shortly after arriving (@peewong, @foodie.dreams, and @gcheung28) and we began our journey on the third floor. The whole place really started to fill up as a dope jazz band provided some background tunes. The first thing we tried at “Check, Please! Bay Area Taste & Sip” was the Beef Bone Marrow from August (1) Five and it was one of the more unique bites of the night. 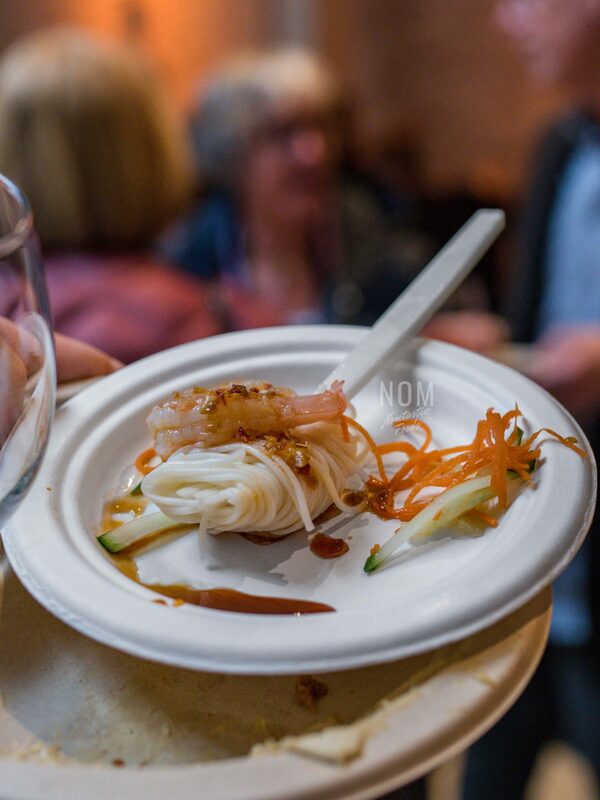 It was creamy and savory, and the rice cracker added a nice crunch to complement the smooth texture of the marrow. We turned the corner and we immediately made a b-line to Bobo’s The Steak and Crab and tried their Steak. I love my steak medium rare and that’s exactly how it was served. It was cooked and seasoned perfectly and I seriously could have eaten that whole plate! 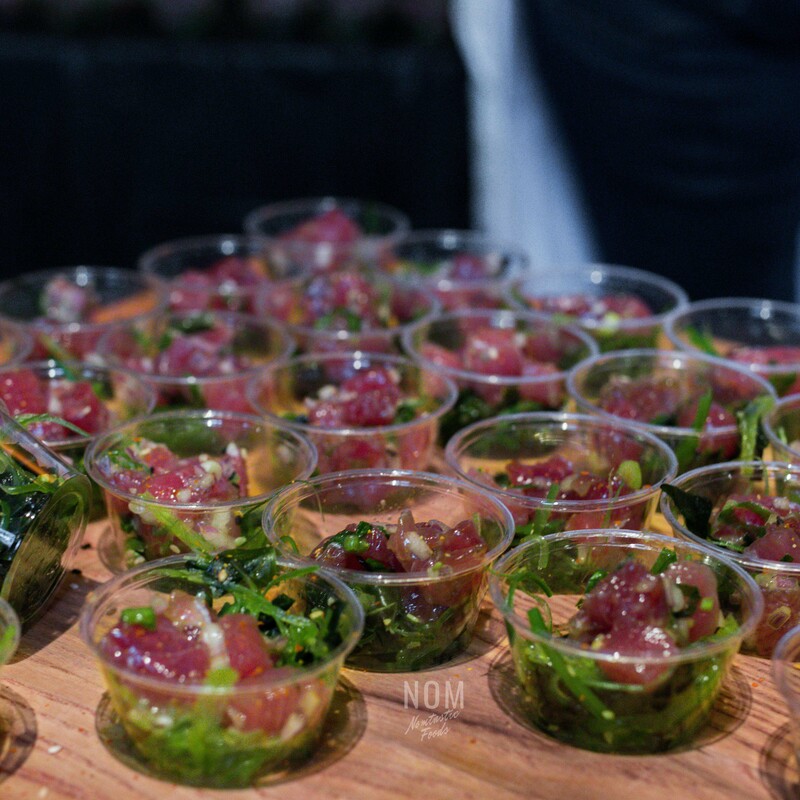 As we made our way down the hall we came to Farallon’s stand for some Bigeye Tuna Poke on Seaweed Salad. This was a welcome, refreshing change from the other two bites that were heavier and quite rich. We had to get our greens somewhere, right? Next, we decided to scope out the other floors of “Check, Please! Bay Area Taste & Sip” before we totally filled up on everything at the top, so we made our way downstairs. The first table we came across on the bottom floor belonged to The Bull Valley Roadhouse, and they had some Pork Ribs with Bourbon Pecan BBQ and Pickled Green Strawberries that we HAD to try when we saw them. The meat just fell off the bone and it had a surprising kick! The spiciness caught me off guard, but it was a pleasing change of pace. The first floor was especially packed, but we managed to weave our way towards the entrance and spotted some delicious-looking ice cream sandwiches. 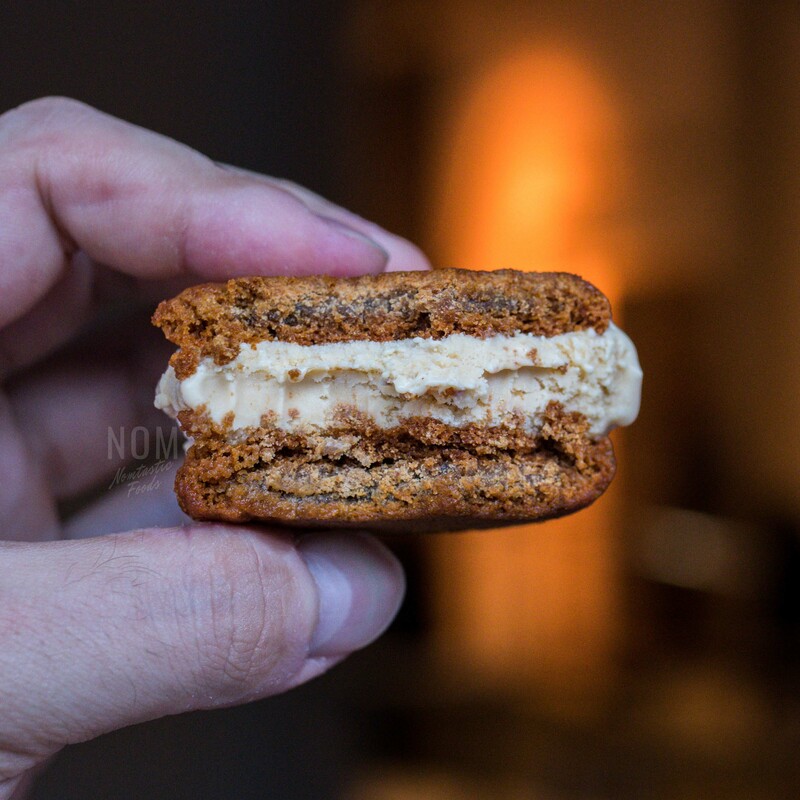 When we reached the table, we saw that they were Crystal Malt Ice Cream Sandwiches with Molasses Cookies from Sessions at the Presidio, and they tasted incredible. Not going to lie, we may or may not have made several trips back for more! Each one was sweet, smooth, and a perfect way to end a meal, although we were far from done (haha). 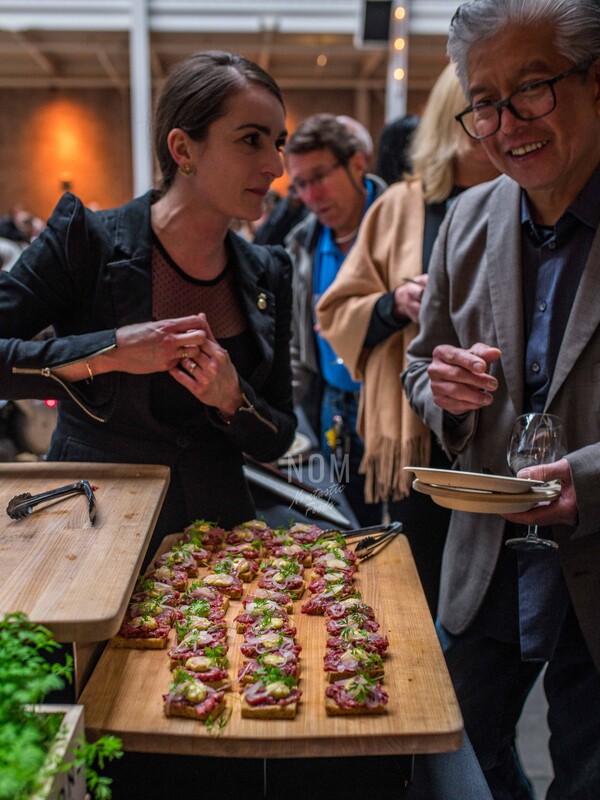 Right next to the ice cream sandwiches was Valette’s table with some beautifully crafted Canapé of Smoked Skywalker Wagyu Beef Tartar, Rye Toast, Beer Mustard Aioli, and Pickled Shallots. Many people are a little wary of tartar, but I feel like this bite could change anyone’s mind. The beef tartar and the rye toast were the perfect complementary textures, and the beer mustard aioli added some nice spice to the mix. Next, we ventured to the other side of the building and wound up in front of M.Y. China’s table and got to speak briefly with Chef Martin Yan! 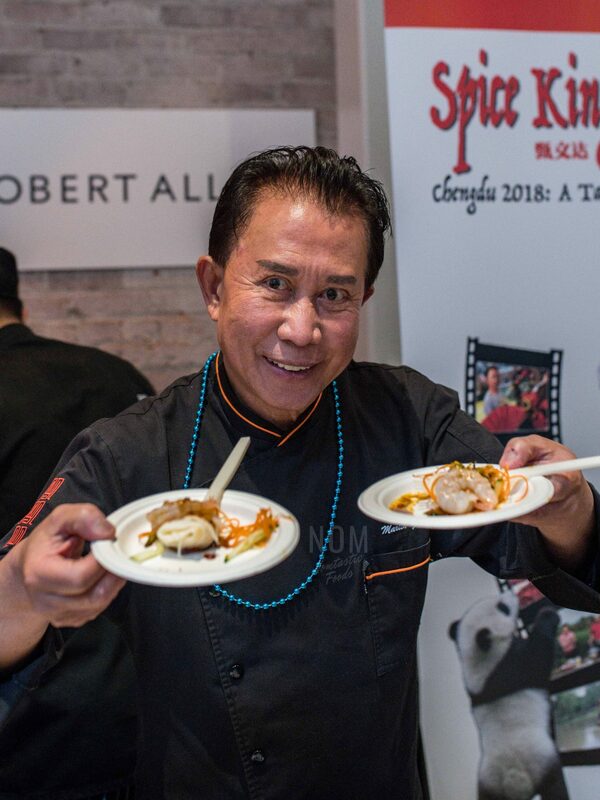 It’s always exciting and a pleasure to meet and talk to people who have dedicated themselves to the culinary arts, and Chef Martin Yan is definitely a prolific figure in the Bay Area. He was super polite, and after our quick photo op, he handed me some Noodles with Carrots, Cucumbers, and Prawns. I’m not sure exactly what the sauce was, but it tasted kind of like ponzu sauce, and I inhaled the whole thing in seconds. This is one we didn’t actually get a chance to try, but it looked absolutely amazing. 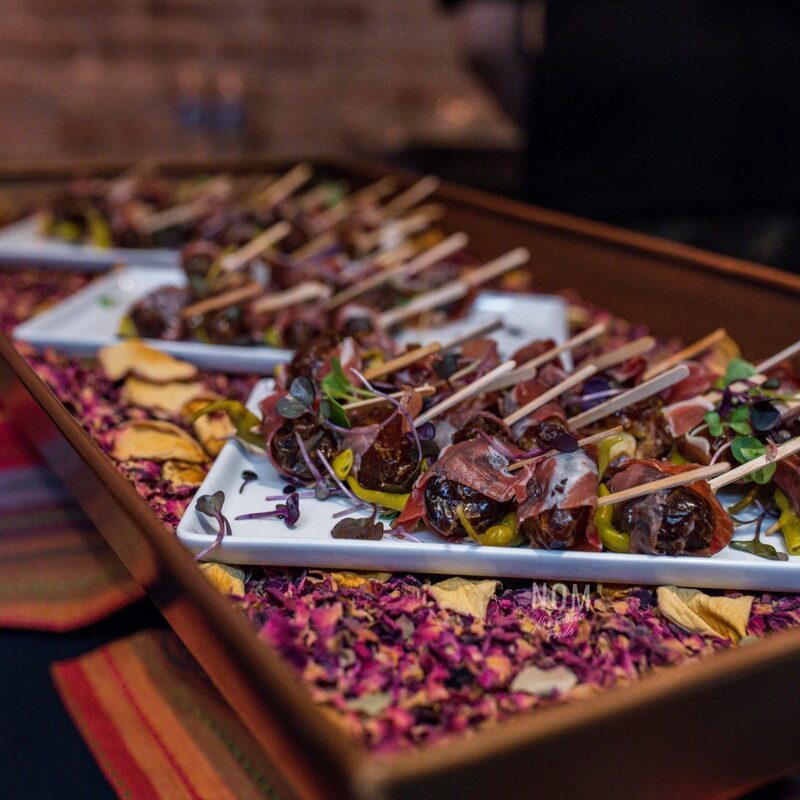 These were Serrano Ham Wrapped Dates from Canela Bistro & Wine Bar. Just from this dish alone I’ve added Canela Bistro to my list of places to try! When we reached Farmhouse Thai’s table I got really excited. I had previously been blown away by their Volcano Dream Cup Noodles at the Noods Noods Noods Festival in Oakland, CA a few months back, and their small bite this time around was just as tasty. 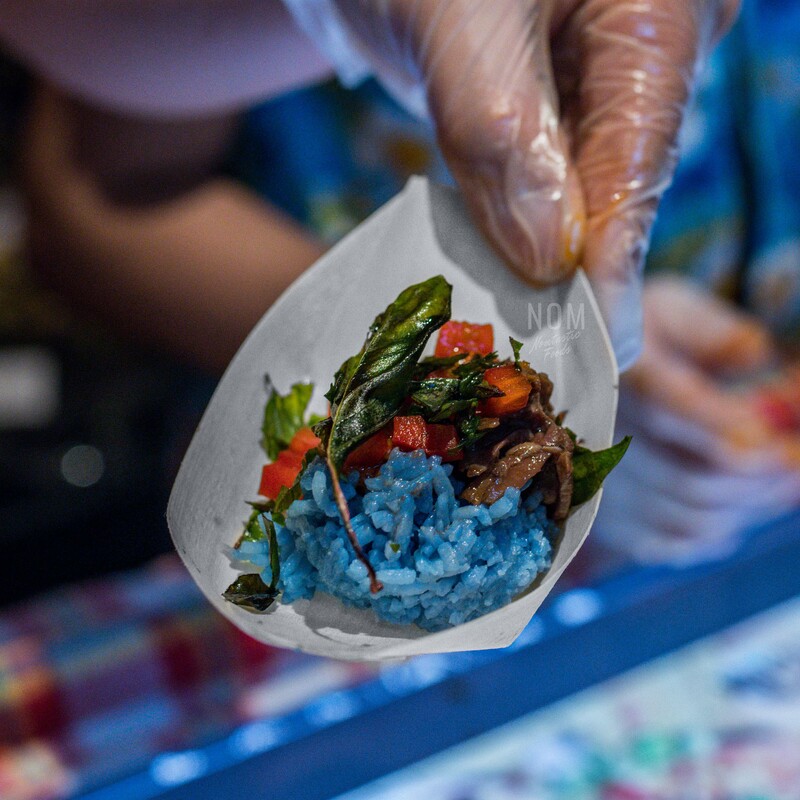 It was called Panang Neua, which consisted of 24 hour Braised Beef Short Rib, Panang curry, and Blue Rice. As expected, it had a definite Thai spiciness to it, and had me doing some reverse blows to cool my mouth, but it was so bomb. After that, we stepped back for a short break to simply take in the atmosphere. 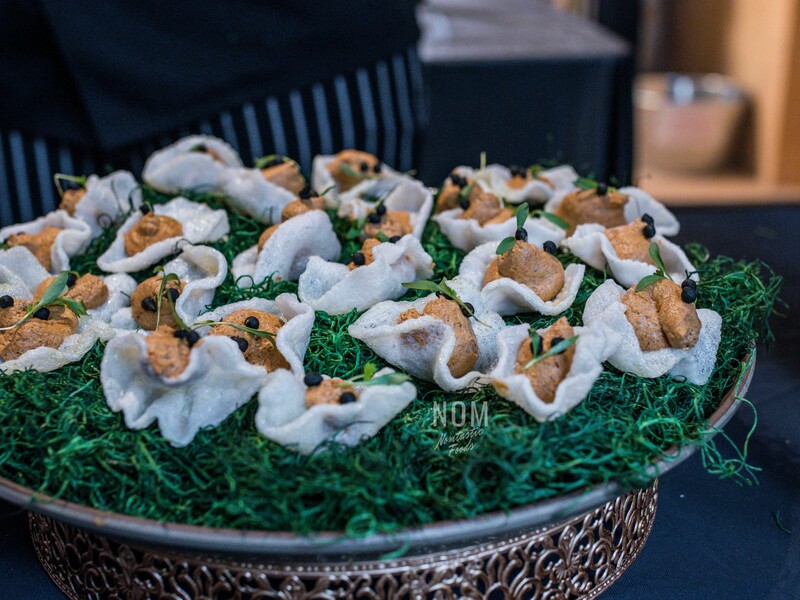 I thought to myself, it’s amazing that this event brought together so many people from all walks of life who share a common love of food, culture, and culinary arts and exploration. The whole place was wall to wall people on every floor and it put a big smile on my face to see everyone enjoying themselves. Towards the end of “Check, Please! 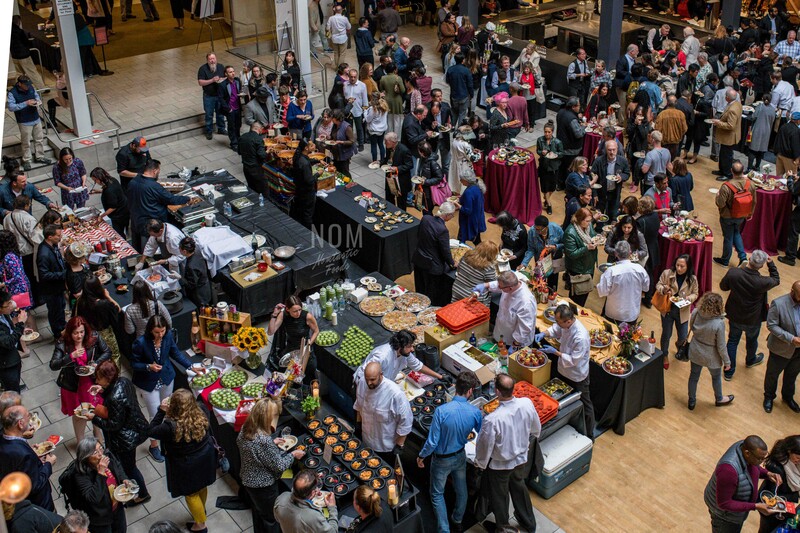 Bay Area Taste & Sip”, we decided to traverse the middle area on the first floor and were, once again, delighted with the things we sampled. 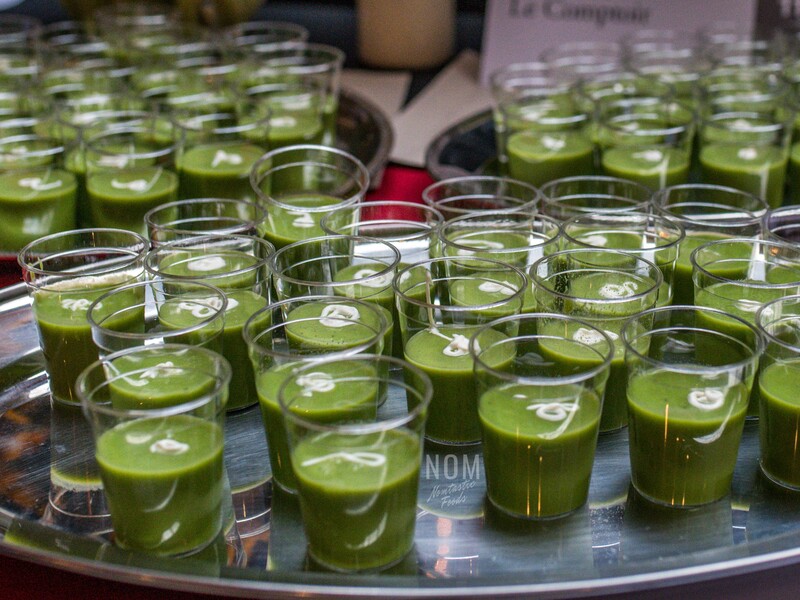 The first of which was Split Pea Soup from Gamine & Le Comptoir, which was great! The soup was just the right density and was creamy with a subtle flavor that would make this a perfect appetizer. I felt bad because I tried to drink my cup too fast and accidentally had some go down my windpipe, which made me cough a bit. The friendly woman there made sure I was alright, and then I reassured her that the soup was delicious and I was just clumsy (oops!). The last small bite I had actually took a few bites to finish, and I’m glad it did because it was bomb dot com. Hana Japanese Restaurant was preparing what I believe were fresh Crab Salad Hand Rolls. I somehow missed the sign with the name of the roll, but after taking a quick look at the menu on their website, they say the crab salad is made with crab, tobiko, and QP Mayo, which looks to fit what is seen in the photo. Either way, it was straight up incredible, and one of us actually went back for seconds and thirds. Not going to say who! Once we had filled our bellies to the max, we got to hear Leslie Sbrocco, the host of KQED’s “Check, Please! Bay Area” TV show, speak briefly about herself, the show, and the event. 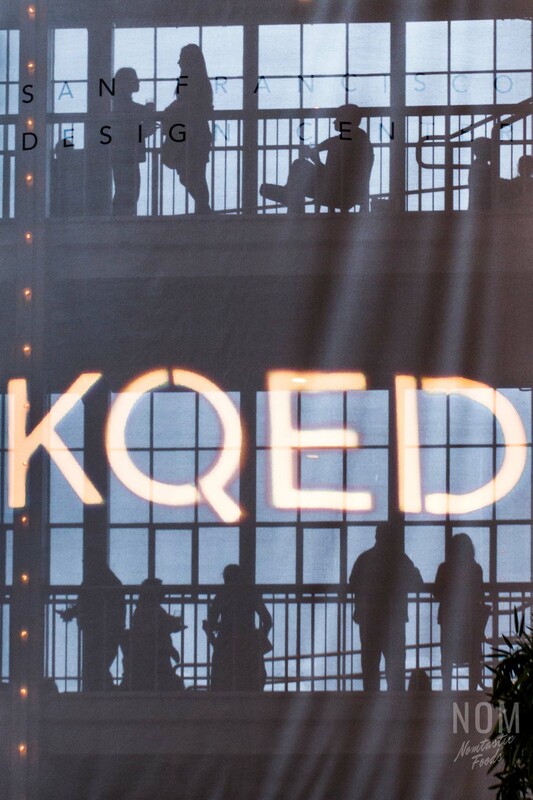 It was really nice to see her express her appreciation for everyone involved in all the facets of KQED and everything they do. … And just kidding about the “bellies filled to the max” thing. 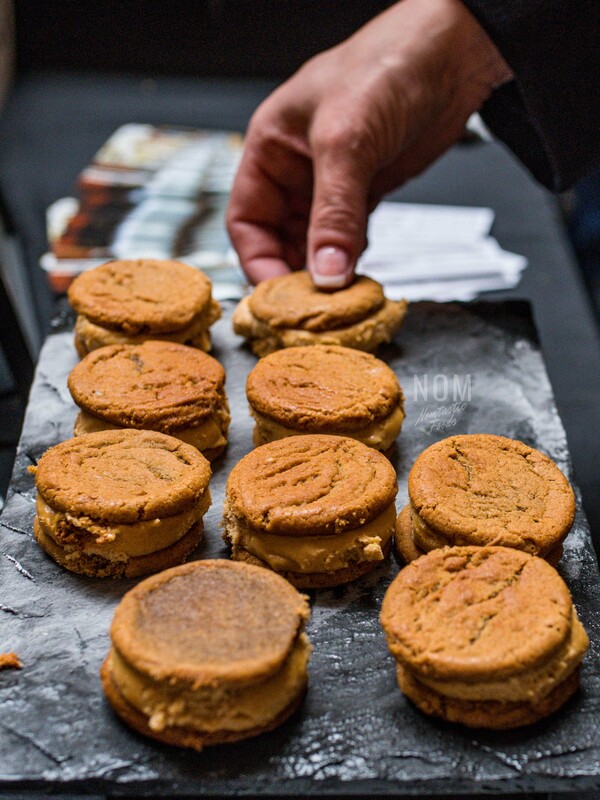 We definitely shamelessly went back for another ice cream sandwich. 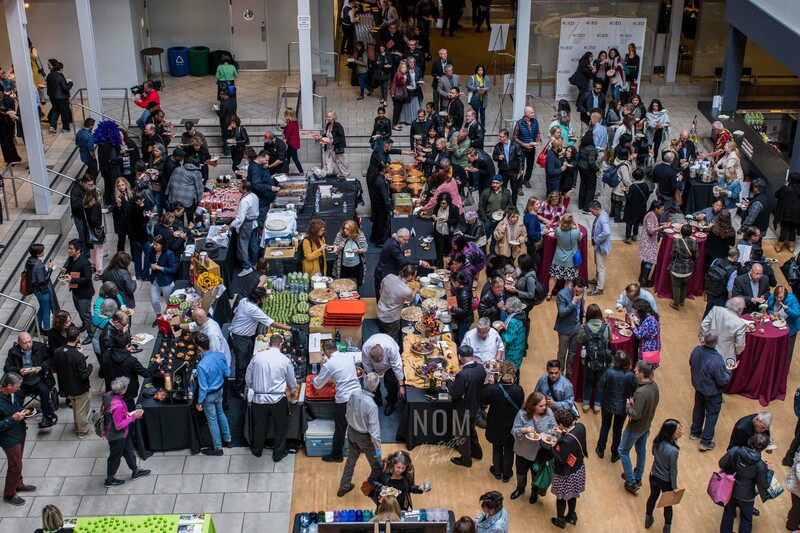 I want to give a BIG thanks to KQED and their KQED Bay Area Bites for having me out to this year’s “Check, Please! 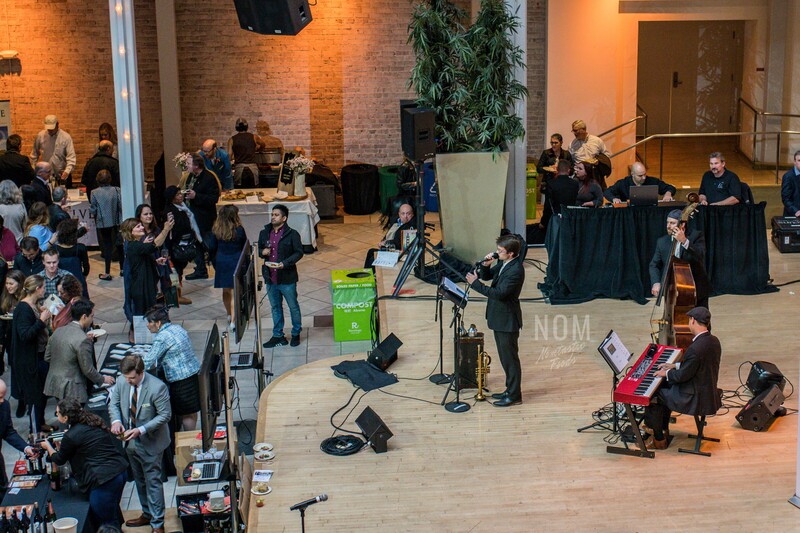 Bay Area Taste & Sip”! 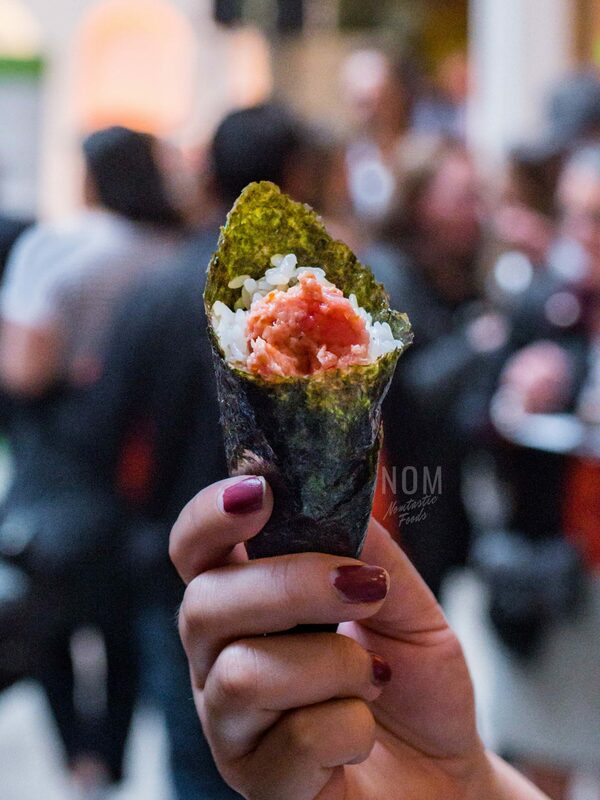 They’ve definitely covered some of the best food spots in the Bay Area, and to bring them all together in one place for a night was an experience I’ll never forget. If you weren’t able to make it to this one, be sure to set a reminder for the next time because this event is as fun as it is inspiring. Till next time, Nomsters! 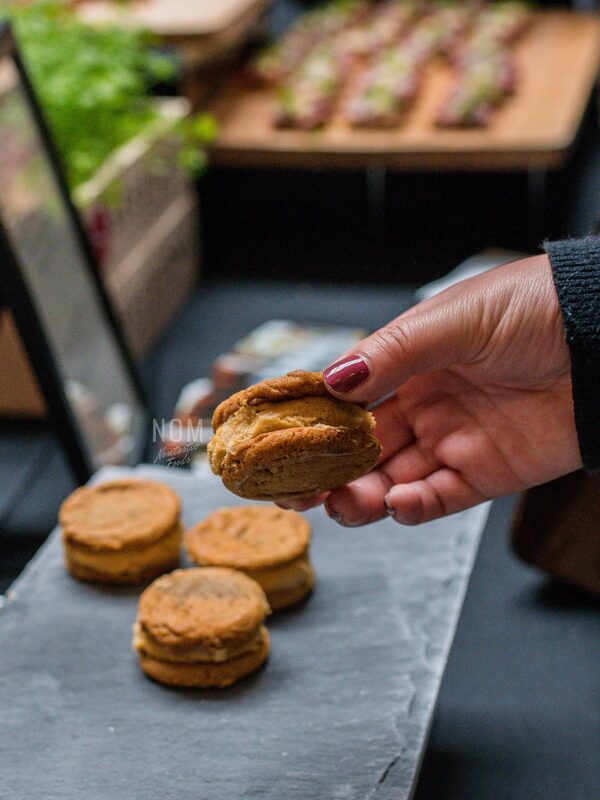 Previous Post Win a $100 Gift Card to Philz Coffee!